SKY News has announced two new political programs Election 2013: The Economy and Saturday Live. Election 2013: The Economy will air weekdays at 3.30pm across both SKY News National and SKY News Business. Bringing together the resources and expertise of talent from both channels, The Economy will provide in-depth analysis of how the upcoming election with its many campaign promises and proposed policies will affect families and businesses. This weekend will also see the first episode of Saturday Live at 9pm on SKY News National with Janine Perrett (pictured) at the reins. An expansion of the popular Paul Murray Live and Friday Live with Chris Kenny brand, Janine and her panel of guests will discuss the day in news and politics. 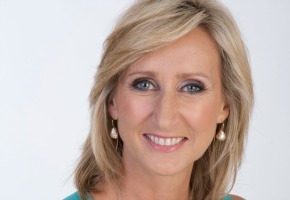 Janine Perrett would have to be the most unpleasant biased unprofessional presenter in the history of television. Won’t be watching.